SAN DIEGO (LOG News Service)—SailGP, the new sailing league founded by tech billionaire Larry Ellison and five-time America’s Cup winner Russell Coutts, will leap from concept to reality in February when six souped-up catamarans hit the starting line off Shark Island in Australia’s Sydney Harbor. 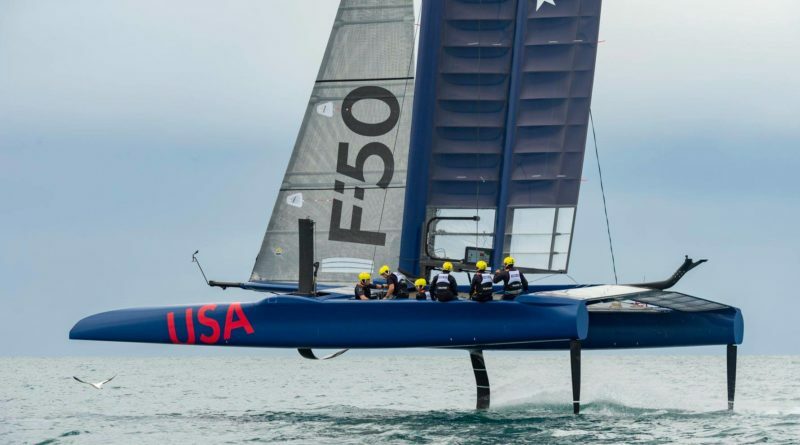 SailGP will be a true global league, featuring many of the world’s most accomplished sailors racing aboard the planet’s fastest sailboats, 50-foot, wing-sailed catamarans called F50s that fly across the top of waves on hydrofoils. Teams representing six countries – Australia, China, Great Britain, France, Japan and the United States – will compete at five tour stops, with the finale being a winner-take-all, $1 million match race between the top two teams to crown the 2019 champion. After the initial regatta Feb. 15-16 in Sydney, the tour stops in San Francisco on May 4-5; New York on June 21-22; Cowes, England, on Aug. 10-11 and Marseille, France, on Sept. 20-22 for the finale that will include the winner-take-all race. Ellison, the co-founder of Oracle Corp. and one of the world’s richest men with a fortune estimated at around $60 billion, will initially cover the league’s costs. If his vision plays out, SailGP will move to a franchise ownership model. There have been changes to the daggerboards and rudders of the F50s since Bermuda that will increase the boats’ performance. In a substantial change, batteries will be used to raise and lower the daggerboards, and grinders will be used only to trim the wingsheet. In Bermuda, sailors complained that F50s were the most painful boat to sail with two people sailing and four people grinding.